The Gospel Music Association's "Music in the Rockies"
The Gospel Music Association’s Music in the Rockies (formerly “Seminar in the Rockies”) has a long-standing history as the premier competition, gathering and educational event in Christian music. Since 1974, aspiring artists, songwriters and indies have traveled from all over the world to perform, compete and hone their skills under the guidance of seasoned industry professionals and peers. Artists such as Stacie Orrico, Rachael Lampa, Babbie Mason, Point of Grace and Mark Lowry all began their careers at Music in the Rockies. Located in the beautiful city of Estes Park, Colo., Music in the Rockies is a must-attend event for any aspiring or indie artist, songwriter, worship Leader and musician, and for producers, publishers, and A&R professionals. Families also take advantage of this resort destination through diverse activities and the acclaimed Music in the Rockies Concert Series. 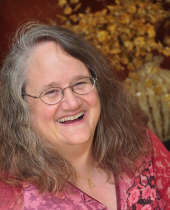 Pete and Pat Luboff are songwriters, music publishers and songwriting educators. 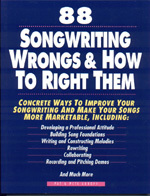 The authors of 88 Songwriting Wrongs & How to Right Them, and 12 Steps to Building Better Songs, Pete and Pat have been a songwriting team for 34 years, and have taught songwriting workshops for over 25 years. I studied with Pete and Pat when they lived in Los Angeles, and I can't say enough good things about them. Their particular combination of heart-felt encouragement, honest feedback, and insider connections and expertise provide a powerful tool for moving your songwriting forward. Established in 1967, the Nashville Songwriters Association International (NSAI) is the world’s largest not-for-profit trade organization dedicated to serving songwriters of all genres of music. has a unique Song Evaluation Service for aspiring songwriters that provides NSAI members the opportunity to send in songs for verbal critiques from professional, published songwriters -- a service unparalleled in feedback and value! presents ongoing ProSeries events, and creates song pitching and networking opportunities for professional songwriters by regularly hosting meetings with the A&R staffs of major record labels.